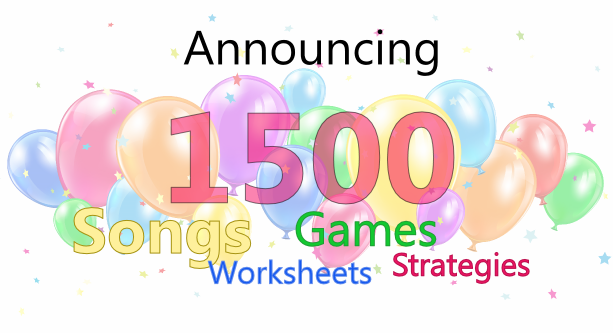 My Song File now has over 1500 songs, worksheets, games and strategies! We could not have achieved this milestone without the support and encouragement of the My Song File community. Thank you! Here are some of the comments we’ve received on the journey, with handpicked free resources. From Alabama Girl to You Better Run and everything in between, there are many teaching gems to be found here. I especially like the ideas for dances/games to go along with the songs. I LOVE that the analysis of each piece is included. It is very easy to determine whether a song will fit my learning objectives or not. Thanks for a great product! Can't wait to incorporate these! These traditional Australian folk songs have accompanying worksheets. Try Australia's On The Wallaby and Australia's On The Wallaby (Rhythmic Dictation), free for a limited time. Great background info on each song this was very valuable. Worksheets are a great way to assess student knowledge, and achieve learning with substitute teachers. Our Pirate Dictation worksheets have received a lot of love. See what all the fuss is about with Pesky Pirates fa Staff (Melodic Dictation), free for a limited time. Saved me so much time - thank you for this differentiated product. Wow! My students loved the approach to both solfege and rhythm… I am definitely putting them into my annual plans. It's a fun, quick way to check for understanding and have proof of learning… it was short enough to keep the attention of even the distractible learners. * Students love this energetic, happy line dance. "You Better Run" is an African American Spiritual written in extended do pentatonic scale. "Pesky Pirates 'fa' Staff Melodic Dictation" is a worksheet that helps make melodic dictations fun while practising writing on the staff!